By freshman year of college, Sykes had made $700,000. He made his first million at 21 while vacationing on a cruise ship with his family. By his senior year, Sykes had become a multimillionaire. Sykes, now 34, has made $4.3 million in career stock winnings and has roughly $15 million in cash in the bank. His current full-time job is running a training program to teach others how to trade stocks. 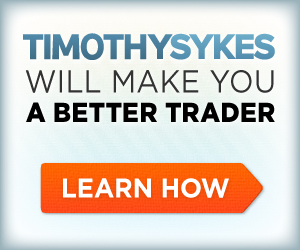 Since he’s now trading with such small accounts, Sykes says he presently makes more money teaching than trading. “You definitely trade different in each market. Three out of four stocks follow the market. So in a bear market, or when stock market prices are falling, I’m much more cautious. But at the same time, there’s usually a few plays every single day. Advertisement: Start trading stocks now with TradeKing! To roughly test Sykes’ skills, NextShark asked him during our interview to give us his best stock tip, with which we would invest $75 we had put aside beforehand in and then follow for two months to see if it rose in value. He recommended we invest the experiment fund in a promising tech company known for their wireless, radio frequency-based charging technology. Most importantly, the company was speculated to be partnering with Apple to put that wireless technology into their future products. On February 16, following his pick, we purchased 13 shares of the company at $5.57 a share, totaling $72.41. As of April 6, the shares are worth $10.13 apiece and $131.69 in total, which calculates to about an 80 percent return. The results impressed us, especially considering the experiment’s proceeds netted everyone in the NextShark office a free lunch. One of the things Sykes’ followers say they like about him is the fact that he’s transparent. He shows every single trades he’s made to get to his millionaire status and even shows his tax returns. “If you’re going to teach about making money, you’d better be able to back it up. This is why I get invites to speak at CNN, Harvard, and most recently the ‘Steve Harvey Show.’ It’s because I show everything. I think that transparency is key to show that I’m real and sets me apart from everyone else. When he’s not working, he spends his days traveling, eating at fine dining restaurants, driving his Lamborghini and Ferrari around, and planning his wedding to his model wife, for which they’ve hired Kanye West and Kim Kardashian’s wedding planner. While most become attached to attaining more wealth as they go, Sykes claims that money isn’t really driving him at this point.